Farmer, MLA (1937-1940), MLA (1941-1945), MLA (1946-1949), MLA (1954-1957). Born at Griswold on 18 July 1893, son of Robert Sutherland and Amelia Robinson, brother of Frederick W. Sutherland, he was educated at Griswold School. During the First World War, he served in the Canadian Expeditionary Force. He served as Secretary of the local COF for 14 years, a school trustee for ten years, President of the Manitoba Liberal Association / Manitoba Liberal-Progressive Association (1942-1943), and Reeve for the Rural Municipality of Sifton (1960-1971). 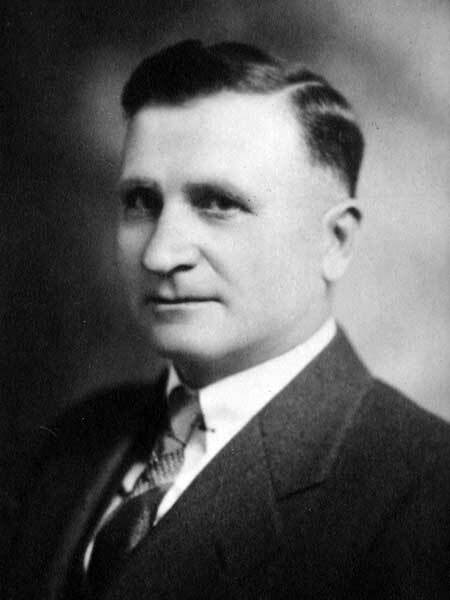 Elected to the Manitoba Legislature at the 1936 general election, he was re-elected or acclaimed in 1941, 1945, and 1953, but defeated in 1949. He sought the 1959 Liberal-Progressive nomination for the Arthur constituency but lost to John McRae. He was a member of the Masons, IOOF, and Royal Canadian Legion. He died at Souris on 31 July 1971 and was buried in the Griswold Cemetery. “Liberals name Sutherland,” Winnipeg Tribune, 31 October 1942, page 2. “Liberals open convention,” Winnipeg Free Press, 24 November 1943, page 6. “Liberals choose McRae in Arthur,” Winnipeg Free Press, 7 April 1959, page 5. Obituary, Brandon Sun, 3 August 1971, page 10.